RECALL! I GAVE Y'ALL A VERY BAD *HANG UP* AGAIN!!! EEEKS!! I am SOOOO sorry y'all! OMGosh ... I did not even get the REAL hang up in the zip file! Now y'all know just how much I've been affected by this dietary mishap!!! I was just telling Robert last night as we prepared to sit down to dinner that I have felt SO scattered since our spaghetti dinner! He could relate as he feels that same fogginess when something has not agreed with his digestive system! You will find a CORRECTED file beneath the image below! I have removed the BAD one!!! I HAVE ANOTHER ONE OF MY HANG UPS TO SHARE WITH Y'ALL!!! I know that I have been QUITE sporadic as of late and I nearly gave this post a different title altogether - "Glutton or Gluten?" ROFL!!! I've actually been feeling better this past month or so than I have in a VERY long time. What do I mean? Well, no daily chronic pain, not a SINGLE fibro flare-up, and a reasonable amount of energy. SO, what has happened to change all of that these past several days? Hmmmm ... would you believe a spaghetti dinner? YUP! I know it for a fact as I've had issues with pasta for some time now and choose to avoid it, however, I did not wish to burst my SWEET Robert's bubble when he declared that he wished to make spaghetti Saturday evening! Robert adores grilling on the weekends, which usually works out rather well for me and I've actually had him eating salad this past week rather than rice, WOO HOO! Well, anyhoo, I wanted him to cook what he wished to and it has been a rather LONG while since I've had any pasta and thought that I shouldn't suffer too terribly much. WRONG! Here we are at Wednesday and I am still with a swollen belly (okay, bloated I suppose) making me feel like a glutton, however, I am just about one hundred percent certain at this point that I am gluten intolerant. My oldest daughter has been seeing a naturopath and the allergist she works for this past year, and has been found to be gluten intolerant. Could be in the genes, eh? LOL! I shall not ramble on, but I do like to share as it is always nice to hear back from y'all if you have any experience or knowledge to pass on and vice-versa! I know of a few good books out-and-about for gluten-free diets and hope to order one in the next couple of weeks. Any of you gluten-intolerant or know of anyone who is? It seems to be one of those things that appear at any time in one's life. I am awaiting an order of product to help me get my intestinal tract back into proper working order! I am SOOO looking forward to it and have come to realize that this is something I will need to do on a regular basis and not just once per year or so! I am also going to try going "gluten-free" and if I can see a dramatic difference in my overall well-being, then I will be resolved to the fact that gluten-intolerance is my trouble. I had intended to give this to y'all earlier on and forgot all about it! For those of you that have collected my past *Girasole* goodies, this was made to coordinate with it but serves well as a stand-alone too. Wishing everyone a MOST glorious and ADVENTUROUS summer! May you ALL create some VERY magical memories with which to keep you tending to your DIGITAL addiction! Wishing ALL fathers out-and-about SCRAPLAND and EVERYWHERE a VERY "Happy Father's Day"!!! 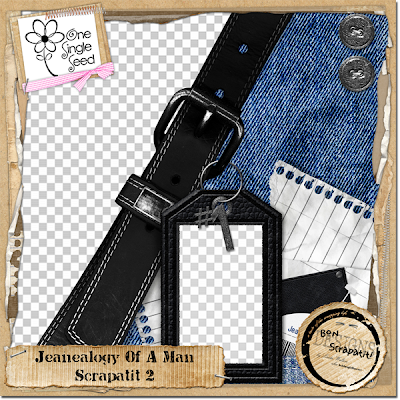 I'm leaving you with MY personal favorite "scrapatit" from *Jeaneaology Of A Man*, which I used to scrap my son Mark's FIRST Father's Day last year! May you ALL enjoy a day of time WELL spent with the fathers in your lives! baby holding his/her own baby? 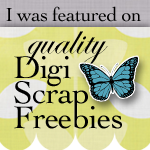 IT'S FANTABULOUS FREEBIE FRIDAY! DO Y'ALL REMEMBER YOUR "JEANEALOGY"? Thank you SOOOOO much for the AWESOME feedback on the IE8 problem y'all!!! I had HIGH hopes that MOST of you would already be using Firefox or something other than IE, or at least know how to work around it's dislike of the Google FOLLOW Gadget!!! VERY cool and, NO, I won't be giving it up and doubt that MOST others will either! Barb, thank you SO much for the suggestion of FLOCK! I shall give it a go just as soon as I have a block of time to play with it!!! It sounds just like the CHARM I need in my ever-growing social media networks!!! I am one that once I download and install something new, I just HAVE to see how it works!!! If you happen to see this post, I shall surely e-mail you and give you a full report!!! Thank you SO much! To those using Google Chrome, I have heard NOTHING but GOOD from those using it and I just might give it a test run as well! MWAH! Okay, I dashing in and out! The scrapatit I am leaving you with tonight is one that I posted a year ago around Father's Day! 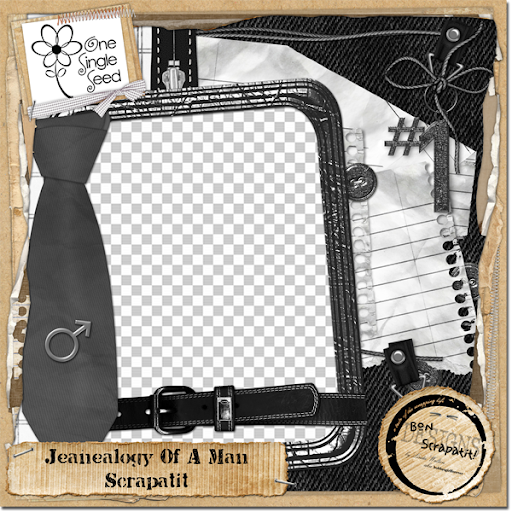 SO, for those of you who are familiar with my *Jeanealogy Of A Man* scrapkit that was featured as a Half-n-Half at 3Scrapateers last June, you won't need to download, but I know there are MANY new scrappers in SCRAPLAND since a year ago so I thought I'd post it while I am mad-dogging it to meet some deadlines PLUS I am going to put *Jeanealogy Of A Man - Generation II* in my store at One Single Seed next week and, HOPEFULLY, will start getting some things into my store throughout the remainder of this month!!! I was working on some cute acrylic frames with the words FATHER and DAD to put photos behind, but my trouble with the "jaggies" has got me a bit frustrated and I'm desperately trying to find out WHY I see them on EVERYTHING no matter whether it is mine or another designer's!!! CRAZY I tell ya! I've even thought that, perhaps, it's my video card! I shall be calling my tech when I get a few minutes and see if he can give me some insight as no one else seems to have a clue as to why this is happening to me. AND, it is not just in Photoshop that I see non-smooth edges. Weird, huh? Hope you find it useful! HAPPY FRIDAY Y'ALL! P.S. Have y'all ever had to cancel a party because the timing just wasn't right? LOL! Okay, I am not canceling, but postponing until I am finished with my projects with deadlines attached! *blush* I have a several things distract me from working on our party kit but just wish to know that it WILL make it's debut ASAP! 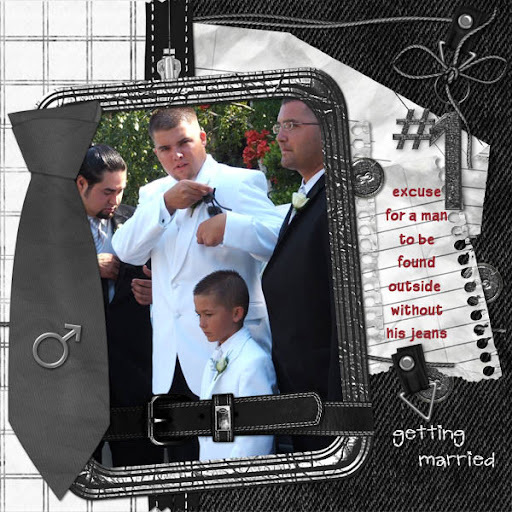 CREDITS: Layout created using my *Jeanealogy Of A Man* scrapkit. Photo taken by me! IE8, GOOGLE GADGETS, MY PERSONAL OPINION AND A FAMILY REUNION ON FACEBOOK!!! I was going to wait and post in the morning, however, I am REALLY, REALLY hoping for an uneventful (that means NO distractions!) day so that I can design and get OUR party started!!! WOO HOO!!! Yah, you know, that MOST wonderful addiction of mine that I just LOVE sharing with y'all!!! ROFL! Today is my baby sister, Kathie's birthday as well as the REMARKABLE woman who is one of the biggest reasons I made it into the designing realm, Linda Wong-Mueller! THANK YOU Linda and hope you had a MOST joyful birthday with your PRECIOUS family darlin'! It is also our BIL, Paul's birthday! Linda was head of Quality Assurance on the site where I began my digital addition and we often referred to Linda VERY affectionately as "eagle eye" as she saw stuff we were like OBLIVIOUS to in our designer beginnings!!! I learned the meaning of "Industry Standard" which taught us about proper lighting sources for beveling and shadowing to not cutting off patterns on our background papers if it was a repeating pattern and so on and so forth. MANY, MANY things for which I am EVER grateful. OH YES, and as Kim B refers to on occasion, STRAY PIXELS!!! I actually figured out how to check for those when I was reviewing an incoming designers kits after being told to be on the look out for stray pixels!!! ROFL! Laughing now as I hardly knew what a pixel was back then let alone a stray one!!! HA, HA, HA, HA, HA, HA!!! A colleague of mine and I had the opportunity to take over for Linda while she was away on vacation for a month and let me tell you, I was a shakin' in my computer chair in the beginning and asked a LOT of questions!!! DEFINITELY the best education I received in regard to digital designing! As any of you who design, it is an on-going and never-ending education!!! ALWAYS something new coming down the pipe and, naturally, we want to jump onto the wave and ride it, eh? He, he ... UH, HUH!!! Well, it seems that the NEW Internet Explorer Browser, version 8 does NOT like Google's little wonder that is HUGE to SO many of us and makes it difficult for those of you using IE8 to access our blogs. This is where "my" personal opinion is coming in so please bear with me for a moment as to a relatively painless resolve for those having difficulty. It has been suggested that WE who use the Google gadget, FOLLOW, to remove it, however, my feeling is that the MAJORITY of us scrapbookers and designers are using Mozilla Firefox which is EXTREMELY blog-friendly and I've yet to EVER have a problem accessing anyone's blog. My suggestion, firstly, is that Microsoft fix the problem on their end. I, personally, avoid Microsoft as much as possible as I was warned LONG ago (4+ years) by technical geeks aka geniuses that IE has A LOT of security leaks in it to begin with and I for one had a GREAT deal of trouble trying to man scrapbooking sites to downloading links in a chat room. It was suggested that I try Mozilla Firefox and I've NEVER gone back. NOW, I do still have IE installed, although I've not upgraded, in the event there is something that Firefox won't navigate, which is usually something Microsoft owned anyhoo. I use Firefox as my DEFAULT browser and IE will automatically kick in if the need be. So, actually, I feel I have the best of both worlds and have NEVER had any trouble getting anywhere I need to go. You may wish to download Mozilla Firefox and even if you prefer IE, you can keep IE as your DEFAULT browser and say, for example, put a FF icon on your desktop that you can click on when you wish to go BLOG-HOPPING and to avoid the NOW, blog access difficulty due to IE8! It is NOT a Google problem y'all, it all points to IE8. I am open to your feedback on this, but as I plan on using the Google FOLLOW gadget as a means of REWARDING my readers in the VERY near future, I, for one, do NOT wish to give it up. Let me hear from you on this and if you have ANY questions at all, I shall be MOST happy to address them. If you would like to give Mozilla Firefox a try, you may download their browser HERE for free! Thanks everyone! Oh, by the way, if you are reading this via Feed Burner and/or your Google Reader and cannot gain access to my blog, would you please shoot me an e-mail at: bonscrapatitdesigns (at) gmail (dot) com. I would GREATLY appreciate hearing from you! The past few days I've been keeping up with birthdays AND check this out, I've just been reunited with THREE first cousins, on my stepmother's side, that I've not seen or spoken with in OVER 30 years!!! I bumped into one on GENI and found that the three siblings were ALL on Facebook too so we've all now connected! On an even MORE phenomenal note is that one of my cousins (the last one that I ever saw) lives in the Knoxville, Tennessee which is where Robert and I will be flying into the end of August when we go to visit and meet our NEW and FIRST granddaughter who was born this past January. I am just about to BUST y'all and I am SO hoping that we can at least say "HI" to one another!!! Just when I think my life could NOT be any fuller, SURPRISE!!! LOL! I have had two other connections over the past two months with a first cousin and a cousin, once-removed neither of whom I have EVER met or spoken with prior!!! I just LOVE me some Internet y'all and I LOVE me some YOU!!! 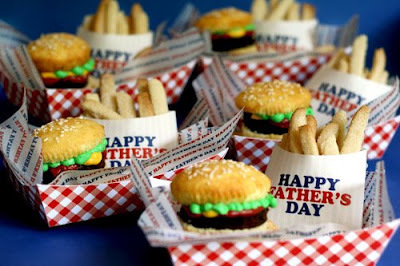 ARE YOU READY FOR FATHER'S DAY? A REALLY COOL IDEA AND A FREEBIE! It's been a rather SLOW weekend for me and my computer usage has been intermittent since my birthday on Thursday! Last I posted I had a surprise visit from my two oldest boys and my grandson, Kaleb. Photos are still on the camera as I've been diligently working on thanking everyone for my birthday wishes on Facebook and Geni and, of course, y'all right here on my blog! I think I have finally figured out how I can reply to comments on my blog, but not quite sure it is working! I was feeding all of my different e-mail addresses into Windows Live Mail on my older computer and I was NEVER able to reply to my gmail for some strange reason! Anyhoo, on my new computer I have two gmail accounts set up, one for my blog comments and one for you to contact me if you have any questions, shares, etc. So, as I have it figured, if you post a comment and use your e-mail address, I should be able to reply when I have the opportunity to do so! Sometimes it is virtually impossible to reply to every single one everyday, otherwise, I'd not have time to create!!! LOL! I hope y'all don't mind that I address you here and that you know my appreciation is HEARTFELT no matter how it is expressed! Y'all are AMAZING and we are all sharing the same passion for preserving our family heritage! FATHER'S DAY!!! What are you doing to celebrate the MEN in your lives??? Do y'all gather for a SPECIAL celebration? Dinner? Picnic? If you are MILES away from your fathers, grandfathers and even some of your DH's, are you mailing cards and goodies? What kind of goodies do you send off and what have you found to be the BEST method of delivery that is, perhaps, cost effective and good with timing? Robert's family tries to come up with unique ideas each year for Poppa according to things that HE enjoys! A few years ago we all went out on a fishing boat in the Monterey Bay as Poppa LOVES to fish and when he was living here in Copper, he and Robert would take his boat out on our BEAUTIFUL Lake Tulloch on occasion! Anyhoo, Robert and I both ended up spending most of our time laying down in the cabin due to sea-sickness! I was raised on the water and boats as my own father was an avid fisherman and ALWAYS had a boat or boats docked somewhere on the San Francisco Bay for a fishing trip when time allowed. Never bothered me as a kid, but for some reason the fumes from the motor did me in and that is all she wrote! This year, they are organizing a tour of the Budweiser plant in Fairfield! Robert and I will not be able to make it this year as he will be spending Father's Day with his boys, but Poppa has been a Bud man since his Navy days LONG ago so in trying to find something that he would enjoy and that would have some special meaning, they came up with a tour!!! Pretty cool I think! I have a CUTE, CUTE, CUTE idea to share with you that I found via a Tweet on Twitter this morning. Below is the image and by clicking the image, you will be transported to the site, Bakerella, for complete instructions on how to recreate these AWESOME replicas of some favorites of MOST of our guys!!! Although referred to as a Happy Meal, it could be any NUMBER on the menu board!!! Please let me know if you try this and I'd even LOVE to see a photo of your results if you do!!! How MUCH fun, eh? And, for a SPECIAL freebie this evening and in time for Father's Day, my dear, SWEET friend, Carole, has once again shared some nifty cards with me to share with y'all!!! 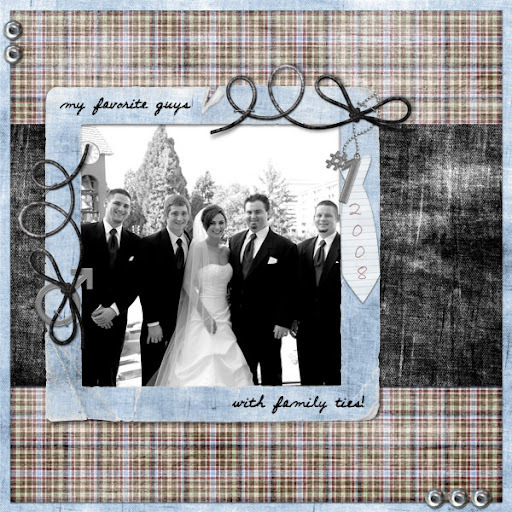 Carole wished to show us yet another FABULOUS use of a "scrapatit" in placing it on the front of a card and turning it into a PHOTO CARD! Pretty cool, eh? Thank you once again Ms. Carole!!! AWESOME! 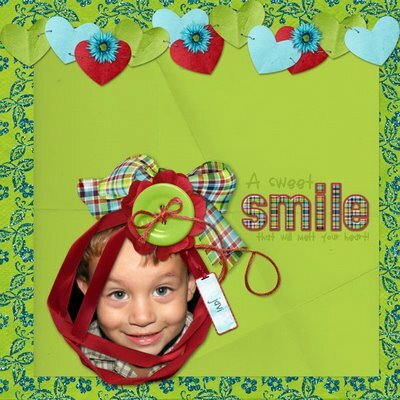 Carole has used pieces from my contribution to the June Mega Blog Train, *My Favorite Guy*! Wishing you ALL a MAGNIFICENT week ahead and please, if you have a moment, I would REALLY love to hear what you have up your sleeves for Father's Day! P.S. Still working on our PARTY kit ... stay-tuned!!! HAPPY BIRTHDAY TO ME AND Y'ALL!!! A FREEBIE TO SHARE! ROFL! Am I late for my own birthday party y'all??? ROFL! OMGosh! What a day! THANK YOU! Thank you SO much for ALL of your SWEET wishes!!! I am SO deeply touched and spent most of yesterday a MUDDLED MESS as I put it to my BFF, Dawn aka Snowsmoon's Design! I'd like to give a SHOUT-OUT to TWO very special ladies on their birthday today!!! Tammy Dunlap and Amberlee Batchelor, both whom I've known since my VERY early digi-days four years ago!!! HAPPY BIRTHDAY ladies!!! If you'd like to leave them birthday wishes, click on their names to be transported to their blogs where you can leave them some LOVIN'!!! Dawn posted a special layout and birthday greeting for me yesterday on her blog and seems she was out-and-about SCRAPLAND as the proverbial "little birdie" giving everyone a head's up as to what day it was! Thanks girlfriend, you CONSTANTLY amaze me and I just NEVER know what you've got up your sleeve from one moment to the next!!! You are SO very near and dear to my heart girlie and I LOVE YOU MUCH! 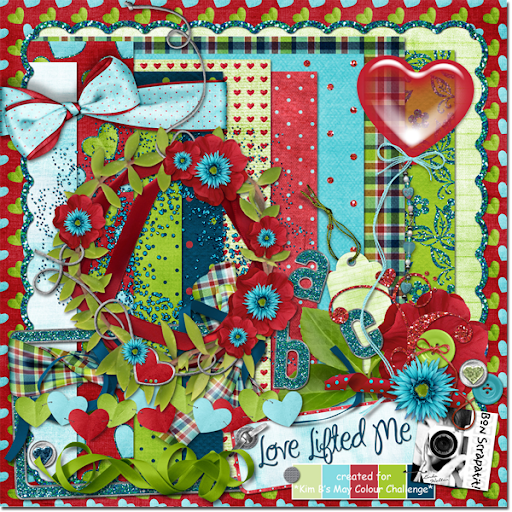 Dawn has also posted the EXTRA goodies that coordinate with *Love Lifted Me* for your downloading pleasure! Click the image below to be transported and you will also see the special birthday greeting she posted for me! TOO sweet I tell ya! Girlfriend, thank you SO much for the LOVLEY cluster frame and word art, YOU ROCK! 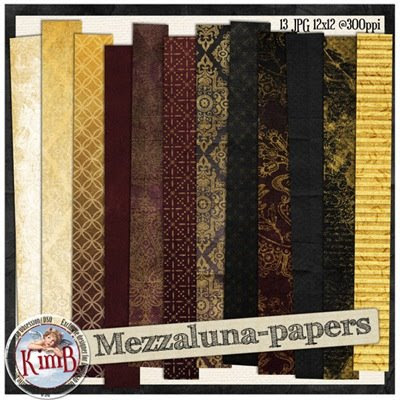 The INFAMOUS Kim B, the LOVELY and HUMOUROUS designer at DSO, gifted me with her upcoming and NEWLY released GOR-HEE-JUS scrapkit, *Mezzaluna*! OMGosh, be prepared to drop your jaw y'all, it is a STUNNER! Kim just has this way of every NEW kit outdoing the one before! Thank you sweetie for such a LOVELY gift and SPECIAL wishes, you are a LOVE! I shall try my hardest to do *Mezzaluna* justice! *wink* Thank you SOOO much darlin'!!! And, then, Ms. Carole sent me the PRETTIEST birthday card that she made with components from THREE of my previous blog freebies and I tell you, by this time I'm up and down for tissue! Well, after spending a THOROUGHLY delightful evening/night with my SWEET Robert and one of my twin sons, Luke and his girlfriend, Tessa, watching a MOST delightful and entertaining new Disney movie, *Beverly Hills Chihuahua*, I came in briefly to check my e-mail and found yet another surprise from Carole! Carole has graciously offered up my birthday card, blank of course *wink*, as well as the BEAUTIFUL floral cluster from the card to share with y'all!!! Thank you, thank YOU sweetheart!!! I am SO blessed! Robert came home with a Boston Creme Pie (so cute, he thought it was a cake - well, hey, I agree as it does give the appearance of a cake more so than a pie, eh? ), ice cream, flat iron steaks (he's grilling those tonight) and a GORGEOUS bouquet of flowers! Luke and Tessa had been and gone to pick up the movie and returned with a PRICELESS birthday card and yet another bouquet of BEAUTIFUL flowers! Now, would you believe that both gentlemen selected the VERY same bouquet??? YUP, they did. I can look at that TWO ways; they both have GREAT taste and/or they both really know what I like! ROFL! I'm not really a big on fresh flowers (I never protest as I don't wish to take away the heart behind it), although I am a floral fanatic. I'd much rather a plant or flowers that can be transplanted outside or that will last a long time. I know that many of you are the same way. Guess it is part of my frugal-ness! LOL! Oh my, I have a SURPRISE visit from #1 and #2 sons and my PRECIOUS grandson, Kaleb! I will share a few photos with y'all over the weekend as I continue to work on MY surprise for y'all! Have a GRAND weekend everyone!!! 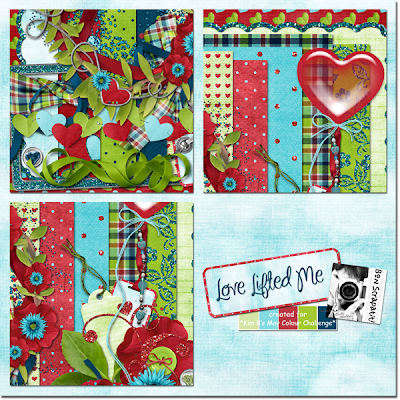 Just a quickie late tonight to alert you to a VERY special FREEBIE from Snowsmoon's Design, who has created for us a LOVELY "scrapatit" using my *Love Lifted Me* scrapkit!!! 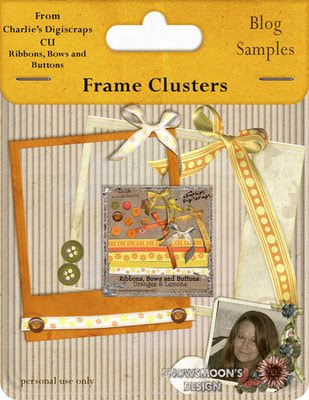 Tonight she is offering the "scrapatit" for your downloading pleasure to be followed by the BEAUTIFUL cluster ribbon frame and SPECIAL word art in separate files (tomorrow I believe) so that y'all can enjoy using them as YOU wish on your layouts, cards or even altered crafts! I am finally getting my sleeping habits back to norm and found myself in bed last night at 8:30 and up this morning at 7:30! I felt "refreshed" upon awakening and not sitting here in my computer chair and staring at the screen like a zombie!!! LOL! That is just PLAIN weird I tell you! I am just about ready to retire for the night, which will put me in bed by 11:00!!! OMGosh! I've not seen bed this early in over a month! WOO HOO! I REALLY treasure my early mornings even though I was programmed at birth to be a night owl! HA, HA! Have y'all heard about the clinical study done on a group of women recently? YUP, they had them ALL sleep for 8-9 hours a night for one or two weeks (I'm thinking it was two) and without changing anything else (no change in diet, no change in exercise), they ALL lost weight!!! One lady lost 15 pounds! The lease amount lost by a group member was 7 pounds! Can y'all believe that!!! I've been hearing reports for several years about HOW important it is for us to get proper sleep on a regular basis, but THIS report REALLY got my attention and, it makes sense! SO, if any of y'all give it a go, please give me a report of your findings, okay? Hmmmm .... maybe we should get a group of us together and see what happens. Whatcha think? I'm game!!! Have a WONDERFUL Wednesday y'all! I'm posting the link to Dawn's "scrapatit" directly beneath it's preview! I'm SO tickled that she created some goodies for us to enjoy, what a SWEETHEART she is, eh? Love you girlfriend, thank YOU! MWAH! Isn't Javi just THE SWEETEST? He is one of Dawn's precious grandsons! CLICK HERE TO DOWNLOAD DAWN'S SCRAPATIT! JUST A WEE BIT "TIED" UP WITH THIS FREEBIE TODAY!!! LOL! I know, I am going to wear this one out REAL fast, aren't I??? You should be a fly on the wall in our house. We play on words whenever the opportunity presents itself and that can sometimes be the makings of a marathon between Robert and I!!! I am witty, however, he is QUICK-WITTED and can catch me off-guard on occasion and have me screaming out, DOH!!! Ah, YAH! Just sinking in now babe!!! ROFL! That is because I usually have WAY too much going on in my head to begin with and it takes me a few minutes to start tracking with him as I have to give him my full, undivided attention! SO, can we say SUMMER yet??? Kids are out of school? That constitutes summer now, doesn't it? YUP! Just got a phone call from Wyatt and Garret's mom saying they are ready to come and visit their dad and are in desperate need of haircuts! Robert is our resident barber and yes, I don't mind telling you, he even cuts my hair for me! LOL! Go figure! The man is TRULY a "Robert" of ALL trades! If it needs fixin', he DA man! LOL! You GO honey! Okay, enough of my silliness. It's been a GORGEOUS day, right around 80 degrees with a LOVELY breeze coming through! My kind of weather!!! How is YOUR weather? I know some of you have been dealing with tornado conditions and I think there is even some snow around back east somewhere! We have had a VERY cool Spring in comparison to the past decade or so. We live in a hot pocket (no, not the ones you pop into the microwave!) and the heat just tends to get trapped here and we spend the majority of our summer in triple digits! UGH! NOT my kind of weather! Anyhoo, I was playing around with something else last night and got this idea in my head for a *Family Ties Epoxy Alpha*! It has a black background so it will POP on the the lighter-colored papers. 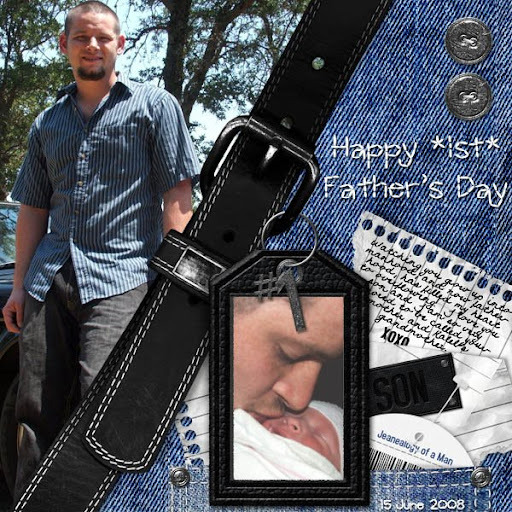 Hope y'all like it and if anyone is making Father's Day cards with *My Favorite Guy* or special projects of any kind, I would sure LOVE to see them! I need some inspiration as I really need to get something going for Poppa. 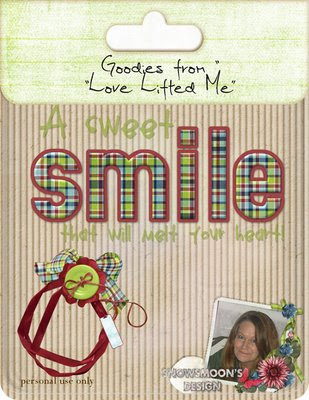 While I am talking goodies, Dawn has a LOVELY little sampler that she has created using Charlies's NEWEST CU product! Click Dawn's preview below to be transported to her blog where you can pick up these DELICIOUS goodies as well as take a peek at Charlie's new CU collection while at an INTRODUCTORY price!!! Leave them some good 'ol SCRAPLAND lovin' for me! Thank you SO much EVERYONE for SO much kindness and love!!! Ya know how to make a girl feel pretty darn special!!! MWAH and right back atcha!!! Hi y'all!!! What have y'all been up to this weekend??? Graduations? Parties? Family get-togethers? Visiting family? Designing? 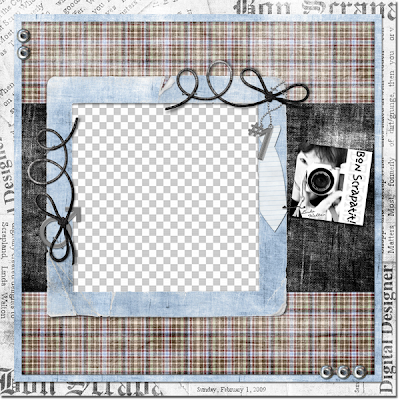 SCRAPPING??? Thank you to those who have recently added their LOVELY masterpieces to the slideshow at the lower portion of my blog! Y'all ROCK ... and then some! BEAUTIFUL layouts ladies! I've just seen the first one from *Love Lifted Me* too!!! Thank you, thank you!!! It always inspires me to see what y'all do with my designs! LOVE THEM! 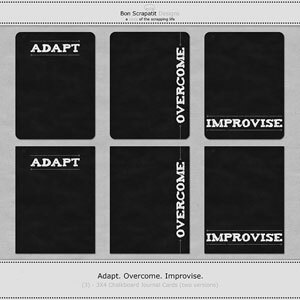 I wanted to share a few things with y'all today out-and-about in SCRAPLAND! 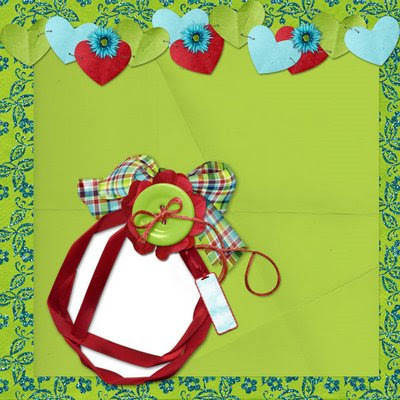 Firstly, my dear sweet Sassy has a FABULOUS grab bag on sale in her store over at Inspiration Lane Boutique and let me be the first (although, I may not be *wink*) say, it is LOADED with DESIGNING GOODNESS and/or for those who like to SPRUCE up their layouts! If you wish to see ALL that is in this HUGE grab bag for ONLY $3.00, she has been revealed on STRICTLY REVEAL! Or, you can simply be transported to the Designs by Sassy store right HERE to purchase! Either way, I think you'll LOVE it just as much as I am! LOTS of cardboard overlays, some greens, a ribbon frame and delicious TEXTURES!!! AWESOME job Sassy love!!! MWAH! ALL for ONLY $3.00!!! Killer I tell ya, this girl ALWAYS packs her bags and leaves us with SO much for SO little in cost! I'm a bit late on my FAVORITE CU designer, the INFAMOUS Kim B, however, there is still time to GRAB her mini-bag this weekend for ONLY $4.00!!! No reveal, but I can tell you that you'll NEVER be disappointed and you can get a HINT of an idea HERE!!! Thank you girlfriend, you are now going to be an INFAMOUS "weekend delight"! MWAH! While you are visiting, you may as well snap up Ms. Bunny's grab bag too!!! 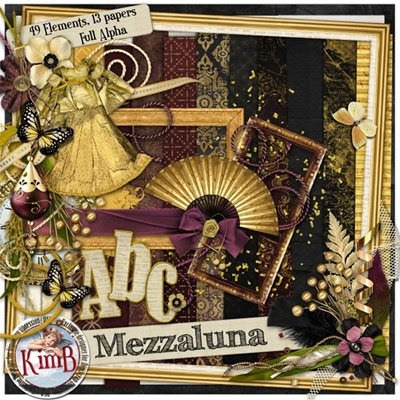 She'll have you decorating your pages REAL purdy or adding some VERY special embellies to your kits!!! BOTH grab bags are ONLY $4.00 each HERE and for the remainder of today ONLY! The next little bit I wish to share is for ALL designers out there that are on Twitter! AND, if you are NOT, you just might wish to as another EXCELLENT business tool and a way to get the word out about your NEW products, sales, events and/or FREEBIES!!! 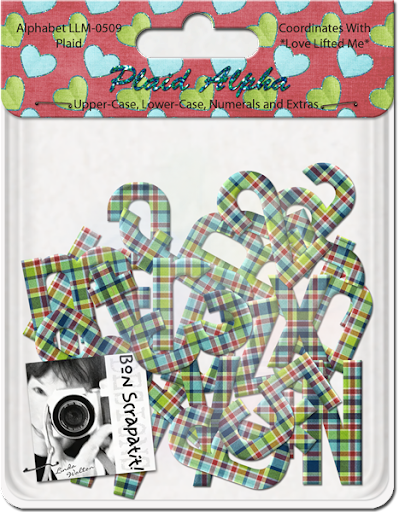 When you wish for Vicky to see your Tweet for a freebie for example, you will post your Tweet like this: @DigiScrapDepot NEW FREEBIE - Plaid Alpha (coordinates with *Love Lifted Me*) Tiny URL Here. Vicky will then in turn, ReTweet your Tweet so that ALL that are following her will see it. You will follow the same procedure for your ads. I've not had the opportunity to use this one yet, so I'd better get busy, eh? ROFL! 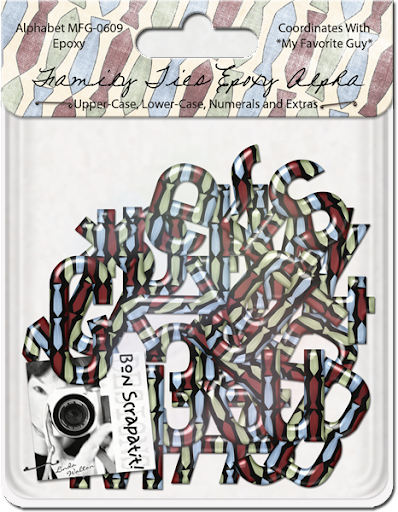 But, it would look something like this - @DigiScrapAds SALE: 50% off my store this week ONLY - Tiny URL Here. I have a little something for you this evening using my pieces of the June Mega Blog Train, *My Favorite Guy*!!! I wanted to scrap with it so I found a photo of my daughter Joan and her four brothers ALL dressed up in suits and ties! Hence, the play on words in my journaling! Anyhoo, I thought, why not share it as a "scrapatit", so here you have it and I hope some of you will be able to put it to good use! I did alter the #1 to say *My Favorite Guys*!!! Well my LOVELIES, I am fading fast and better go fix some dinner! I wish you ALL a GLORIOUS week ahead and may it be a PRODUCTIVE one for ALL OF US!!! WOO HOO!!! P.S. 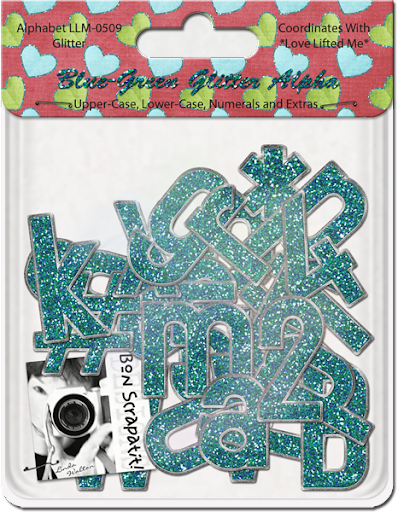 Here are the split file links for my *Blue-Green Glitter Alpha* upon request! Thank you Anna! I hope y'all now TRULY understand my inspiration for this scrapkit! Your LOVE via such "positively" SWEET and ENCOURAGING comments HAS "lifted me" and given me the "recharge" I've been in need of the past several weeks. For this, "I" thank YOU!!! While we are all aware that there is a lot going on in the world at the moment, I just have to express my sorrow and condolences to ALL families who have loved ones, friends, acquaintances and/or business colleagues that were aboard the missing Air France flight from Brazil to France that was reported missing yesterday. I awoke this morning to hearing a news report that debris has been spotted in/on the ocean. I shall not say anything more as I am sure we will be updated soon. I, personally, have not yet heard confirmation although I feel it in the depths of my being. My thoughts and prayers are with ALL affected by this horrible tragedy. Yet another one of those reasons to hug someone extra tight and let them know how much you love them. I have actually found myself quoting a lyric to a song by The Beatles (We Can Work It Out) quite often the past several months - "Life is very short and there's no time for fussing and fighting my friend" ... we just don't know from one moment to the next, do we? I leave you all not only with the "embellishments" for *Love Lifted Me*, but with a LOT of LOVE and a BIG squishy hug. You are ALL so very special you know! Wishing you a WONDERFUL WEDNESDAY and I shall return next with a coordinating and glittered alpha for *Love Lifted Me*!